Lightweight, cost effective advertising, perfect for travelling. Quick and easy to assemble single-sided retractable standard pull up banner. Ideal for events, exhibitions, trade shows and conferences. High quality full colour digital print on a curl free, smooth banner material. Stylish silver aluminium base with two feet. Complete with lightweight carry bag. Attract attention from both sides. Repeat your message or have two different ones! 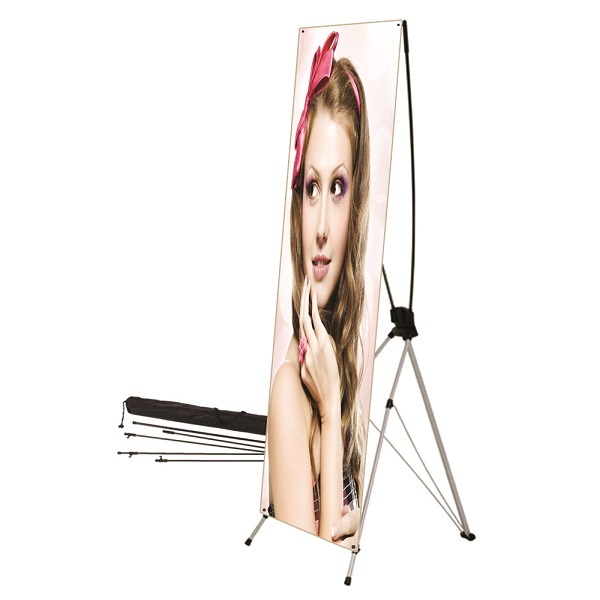 Quick, hassle-free assembly double-sided retractable premium pull up banner. High quality full colour, UV resistant digital print with anti-static finish on curl free PVC.banner material. Durable, heavy, water ballast base unit on wheels for easy manoeuvrability. 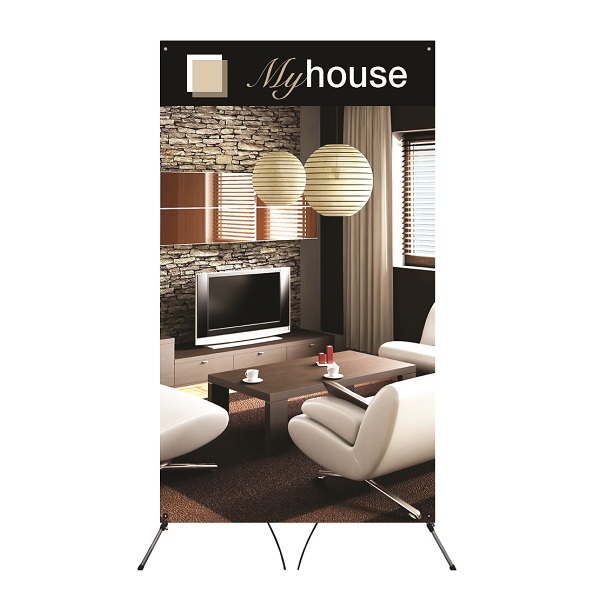 Super light and portable display banners that are both economical and professional. Quick and easy to set up single-sided X banner. Eyelets make it easy to change your promotion or campaign, graphics so your X frames can be used time and time again. 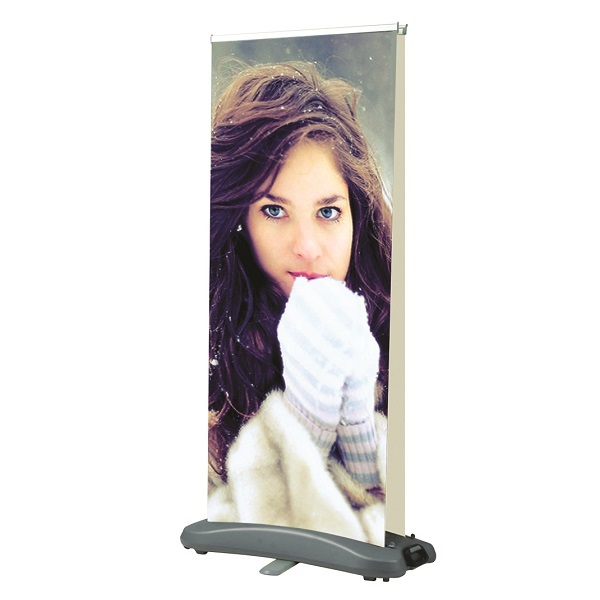 Great for advertising at mobile events, shopping centres and trade shows. High quality UV resistant print on sturdy lightweight aluminium frame. 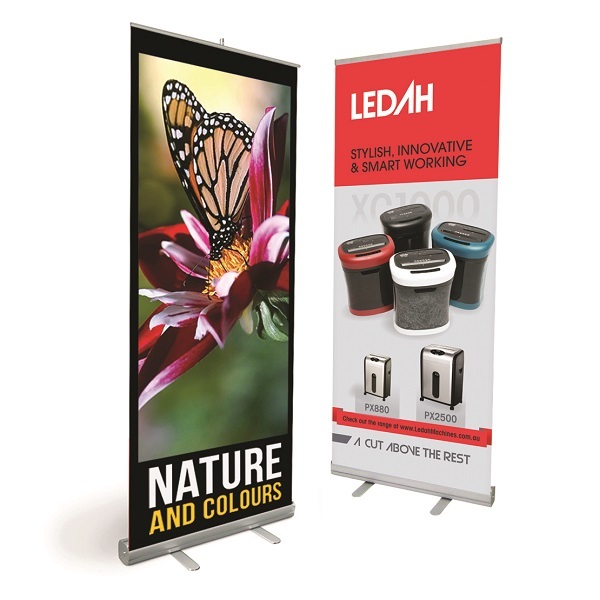 Large, super light and portable display banners to get your promotion noticed!